It’s our twelfth wedding anniversary today! I can honestly say we are happier in this season of our life together than ever before! This could be attributed to many different things- the age of our kids, (6, 6, and 8), our good health, common interests, and so on & on. But I KNOW why we are experiencing this amazing season. We had just made the decision to follow Jesus when we got married 12 years ago. And we entered into married life learning the Word for the first time as adults. It was God’s perfect timing because we were establishing our life together anew with Christ in the center. We haven’t done it perfectly these 12 years, and we will continue to fall short & be reminded we will never be perfect on this side of forever. But one thing we’ve done & I pray we continue to do, is keep running back to truth to guide our two hearts together into one. Something my man does so well is plan surprises for me. A special occasion does not pass without a fun experience or gift he has snuck around to make happen. This year, he arranged for the kids to stay overnight at his mom’s so we could have a dinner date and then do a 40 mile charity bicycle ride the next morning. (This is the third anniversary we have done a race of some sort. We love it!) On the bike ride, I got into prayer mode & was thanking God for our marriage and what he’s done in it. We give the Lord all the credit for these 12 years and every new day we have together. I am reading in Amos now, and the Lord is showing me he’s been our FORTRESS throughout these 12 years of marriage. In the book, the people in Judah & Israel at the time were prosperous. They trusted in themselves and their riches, and soon fell into terrible sin. The Lord destroyed their fortresses because HE wanted to be their fortress. FORTRESS: A place or means of safety, protection, or refuge. I think Nick and I went into marriage knowing we needed the Lord. Don’t get me wrong, we were head over heels in love. But we both came from families whose parents had divorced. We knew that not every marriage was going to make it. And thankfully, the Lord had taken us under his wing at just the right time. 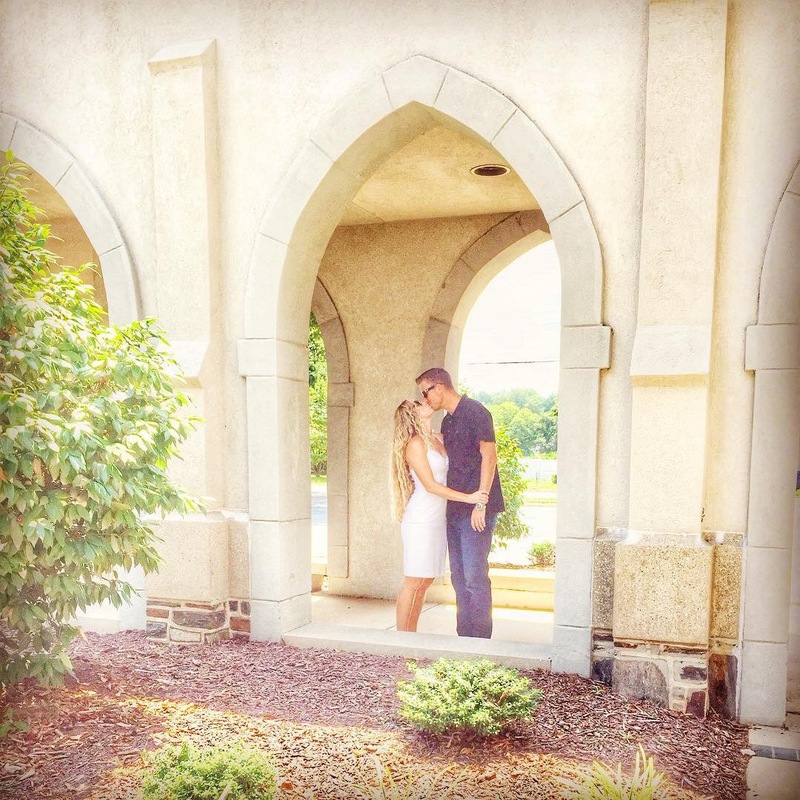 As we started working out the tensions that arise as two lives are meshed into one, we started with ONE PRINCIPLE, and the rest of our marriage was built on top of IT. We wanted to know what biblical marriage meant. And we wanted to follow God’s teachings on it. We trusted his word above and continue to trust that if we approach and apply it with the right heart of faith in Him, our marriage won’t just survive, it will thrive. And I am telling you, ours is. Just because of Him. Marriage was his idea, his plan. He knows how to make it work. And how to make it good. So we look to him. Sometimes it’s hard and I fight him the whole way. Sometimes I have to be really humble and patient and cling to his promises. But not one time has God not moved and changed either my heart or Nick’s heart about any conflict we have faced. So how have I done this? 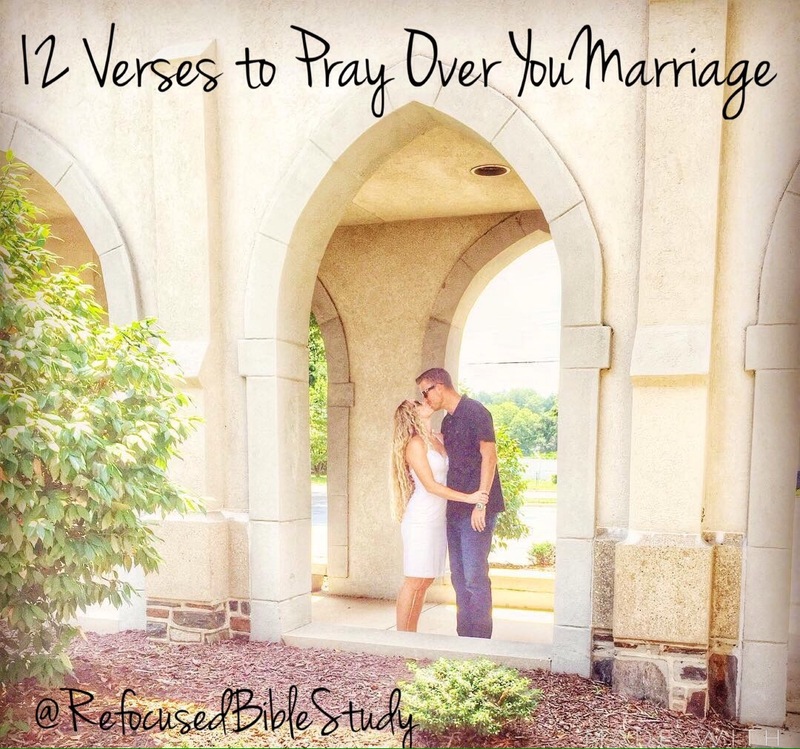 As I have learned verses pertaining to marriage or weaknesses in our marriage, I have turned them into prayers. Some of them I pray over myself, to help me love Nick more like God’s asked me to. Some of them I pray over Nick, for him to love me more like God’s asked him to. Some of them I pray over our relationship and family in general. Love each other with the Love described in 1 Corinthians 13 (Patiently, Kindly, free of jealousy, boastfulness, pride or rudeness) through the power of the Holy Spirit.